Water is in any case the best drink that should you drink during the workout, and we bring you a few suggestions for healthy drinks that need to drink after exercise because it will improve the results of exercises and also bring a host of other benefits. This drink will help the muscles to recover as soon as possible from strenuous exercise and heart rate return to normal. 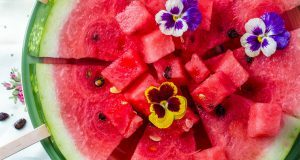 Watermelon is otherwise very rich in amino acids, which are of great importance for the general health orgnizma. 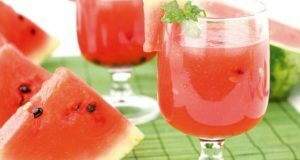 Watermelon juice can be purchased in health food stores, but it is no problem to do it yourself. Simply grind watermelon in a blender or juicer and drink. Tomatoes are very rich in lycopene, an antioxidant that is known as a strong fighter against free radicals, but also as a protector of the heart. Tomato juice will help your muscles as fast as pungent and alleviate pain. 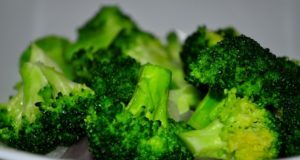 It has the same effect on the body as watermelon juice and therefore it freely drink after exercise. Our only recommendation is that you are looking for juices that have no added sugars if you are not able to create your own juice. Milk hydrates the body in the same way as the water but in addition gives us the proteins necessary for the body to carry out the effort. Milk is especially recommended after intensive endurance training such as “crossfit” or tabata. And finally we can not escape the water you need to drink throughout the training to stay sufficiently hydrated. In the water you can add a few leaves of fresh mint or peppermint uja which has a very positive effect on blood pressure and improves breathing during exercise.